We offer comprehensive locksmith coverage for businesses in Easton and the Lehigh Valley, PA.
Our commercial locksmith service available 24/7 all year long. Weather you experience an office lockout situation, or a complete security solutions for your business, we’re here to help. 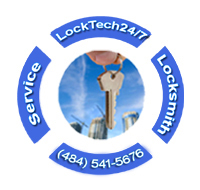 Commercial locksmith services is a complete different area from residential locksmith services. This is because usually the doors on commercial property are heavier than doors on residential property. Commercial doors are heavy duty doors because they are operate many times during a business day. To point out, commercial doors also should protect the businesses at night. Commercial doors consists higher quality of products.They needs to fit government safety standards with attention to your business security. 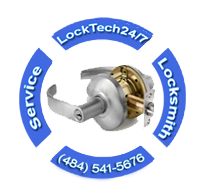 We’re a local locksmith company known for providing superior commercial locksmith services. Our commercial locksmiths near you can be there instantly. Whether you’re lock yourself out of your office or lost your keys, we can help! On other hand, we can also re-key your locks, as well as repair broken lock or changing your locks. 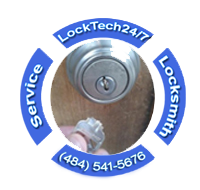 Your commercial locksmiths in Easton, PA.
Our trained commercial locksmiths provide locksmith solutions for all popular name-brand commercial locks including high security locks. It must be remembered that our professional commercial locksmiths can do it all, including open file cabinet, office desk, safe, and more. Pay attention to the locks on your office door; does that commercial lever lock, mortise lock, or push bar lock feels lose and looks old? Don’t sacrifice your business security to failure locks. We can change the locks of your business, easily. Don’t hesitate to call us today at (484) 541-5676 and to schedule your free business security consultation. 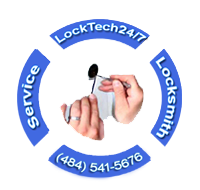 Our locksmith company delivers high quality commercial locksmith services to the door of your office, 24/7. We arrive within 20 minutes of your first call. Our trained and experienced locksmiths equipped with advance tools and the latest technology. We are fully licensed, insured, and bonded to protect your property. Try us, start with a free estimate on your upcoming commercial locksmith project. If you’ve locked yourself out of your office, or for some reason you can’t unlock your door, please call us to unlock your day. We know that is an unfortunate event for sure, and we are here to help. 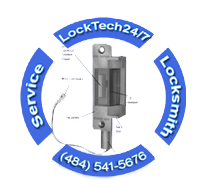 We have the fastest response time of emergency locksmiths in Easton PA.
An immediate call to LockTech24/7 will get you back into your business in the quickest time possible. Not to mention the best price in the city. Perhaps, it is a time to re-key the locks of your business because it’s been long since the last time you “renewed” the key of your business. If you think to re-key the locks on your office doors, you’ve reached the best place. Re-keying locks means to change the combination of the pins inside the lock cylinder. In this case, the old key will no longer work, and you’ll get a new fresh key. 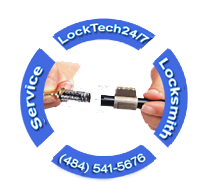 We come to your business in order to re-key your locks on the site. Our locksmiths can re-key any commercial lock whether it attached to a push bar or other security hardware. Or even a lock that is stands by itself. We have the re-keying kits of locksmiths for every lock today on the market. Our locksmiths are working fast to finish the job in a fairly time manner. We get your office back on business as soon as possible. When you have notice that the locks of your office starts to fail, perhaps it’s a time to make a change. It maybe also the right time to upgrade the security of your business. If the lock in the front door of your office is jammed or broken, as well as hard to lock and unlock, we are here to help. Commercial locks are important for the security of your business. That is to say; a secure business is a strong business. Therefore, we provide emergency commercial lock repair services. If a commercial lock on your business door is causes problems, contact us, your professional locksmith, Easton PA.
We are able to solve the problem of your damaged office lock with a unique solutions. 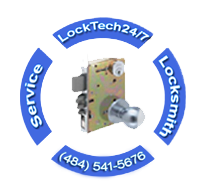 Our commercial locksmiths can fix broken lock, whether it’s a rim lock or mortise lock. The moment you break your key can be frustrating and emergency locksmith situation. Especially when the key break inside the lock and you’re not able to open your office. You’re hurry to unlock your business early in the morning, but you can’t get in. In this case, simply call us and we will come for help, as soon as possible. In addition, broken key extractions are not always possible to remove and in some cases destructive entry should be used to enter the property. When Adam-Rites mechanism is going bad, it can impact your business. Adam Rites is a common door mechanism in a storefront doors. The repair or replacement of door mechanism, sometimes, is not an easy task. A business owner or employee cannot handle this type of job, not even handyman. 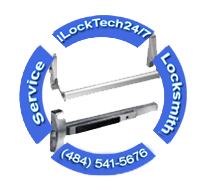 We can help you with any key, lock, and door mechanism issue. Electric Strike is a key-less entry locking system to keep your business locked during the day. It allow you to open the door for your customers by pressing on the button near your desk. When your customer ring the bell, your secretary can let him in, without getting up her sit to open the door. We can replace or install a new electric strike system in a fairly time frame. Panic Bar or Push Bar, is an exit device installed on the door to evacuate the building in emergency situation. Push Bar / Panic Bar hardware is a lock fitted with a long bar. It is placed horizontally across the inside of a door. The mechanism of a push bar can be horizontal or vertical. When you press on the bar, it release the latch or the bolt to open the door. This type of hardware is normally used in public buildings, such as schools, government departments, and more. Panic hardware is designed for easy accessibility during emergency situations, as fire. Push Bar installation is typically a requirement of the fire codes. If you have received a notice of non-compliance from your local fire department, we will assist you with installation of the appropriate exit device to meet the necessary emergency codes for your business.